Annually, Chinese New Year is celebrated and you would always notice different recipes that Chinese families are never at a loss of having in their dining tables. 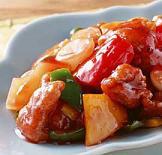 The constantly- present Chinese food and delicacies for their celebration and that includes, chicken recipes, noodles and the sticky rice cake/ pudding or better known as the so popular ‘tikoy’ for prosperity, good luck and togetherness. 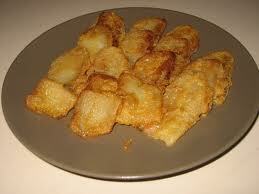 And this food is not only for Chinese people, for most Pinoys are also fond of eating this tikoy. 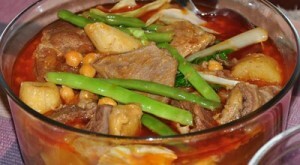 It’s one of the most important delicacies for Chinese people. A lot have this too in everyday life, usually people have it for breakfast or even as snacks. It’s something everyone can’t resist. Before cooking tikoy with egg…. Eggs beaten in a bowl. You will need 10 beaten eggs for a ½ large- sized tikoy. ¼ cup cooking oil is needed too. Cooking tikoy with egg is so uncomplicated and trouble- free. Just follow these steps on how to cook tikoy with egg. Heat the pan and pour in the cooking oil while slicing he tikoy into small 1 inch by 2 inches rectangles at about 1 centimeter thick. Then bathe the tikoy slices on your beaten eggs. When oil temperature is ready, put the tikoy rectangles slice by slice in the pan. You have to make sure that all the slices are well placed in the pan and hat no slice is on top of another. Cook each bach for about 2 minutes on each side. You can also sprinkle some shredded cheese on top of the tikoy with egg and wait til it melts. Romove the cooked tikoy from pan and let the oil settle. Enjoy not just every Chinese New Year but you can have it anytime of the day. Delicious and so easy to prepare. Using or following the given steps on how to cook tikoy with egg, surely you will come up with a delicious breakfast or snacks.